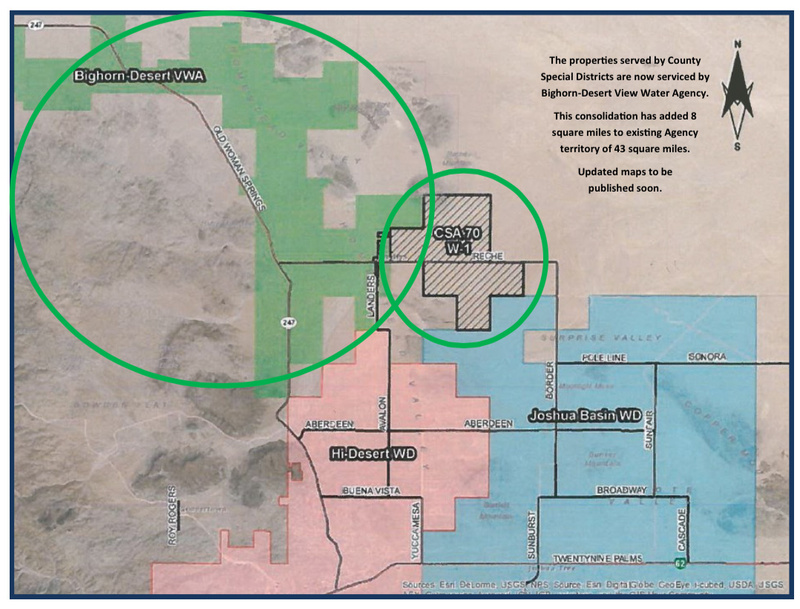 The Bighorn-Desert View Water Agency is a consolidated independent special district, formed in 1990, operating pursuant to the provisions of the Bighorn-Desert View Water Agency Law, California Water Code Appendix, Sections 112-1 et. Seq. The Agency is governed by a five-member Board of Directors, elected at-large from within the Agency’s service area. The General Manager administers the day-to-day operations of the Agency in accordance with policies and procedures established by the Board of Directors. In addition to the General Manager, the Agency employs eight (8) full-time employees organized in two departments: Administration and Operations. The Agency’s Board of Directors regularly scheduled meetings are on the fourth Tuesday of each month at 6 p.m.. Meetings are publically noticed and citizens are encouraged to attend.